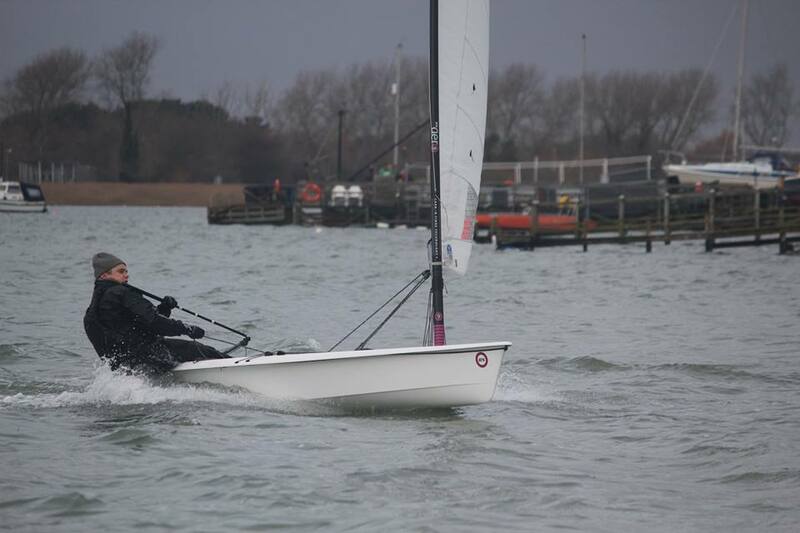 Through January and February on alternate Sunday's on the top of the tide Highcliffe Sailing Club run their Icicle Series within Christchurch Harbour with time for 2 races whilst the water is high. Racing here can be an interesting game with the high land of Hengistbury head to the south and the deep channel going around the harbour before its narrow exit, providing large but predictable changes to speed and direction of the current across the harbour! The usual fleet here provides a good interest for the RS Aeros with Finns and Lasers giving a well matched single hander's race. The challenge against the Finns is a particularly interesting one for the RS Aeros as their PY of 1042 places them between the RS Aero 9's 1028 and the RS Aero 7's 1066. The Finn benefits from half a metre more length and 1.5m more sail than a RS Aero 9 whilst the RS Aero is much much lighter. 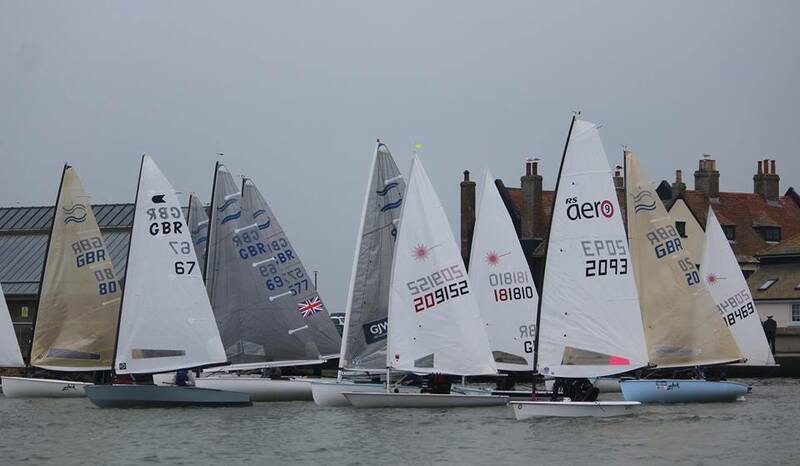 The Lymington RS Aero fleet have raced the Keyhaven Finn fleet quite a bit with their '7' rigs. The Finns with extra sail and waterline can be faster in light winds making them good training partners. If it is windy enough for the RS Aero 7s to plane then they can gain good time on a reach and not lose out due to sail size over the rest of the course. Sunday 29th Jan for races 3 & 4 of the series the wind was marginal for my choice between '7' or '9' rigs at about 15kn but with lulls under the headland. 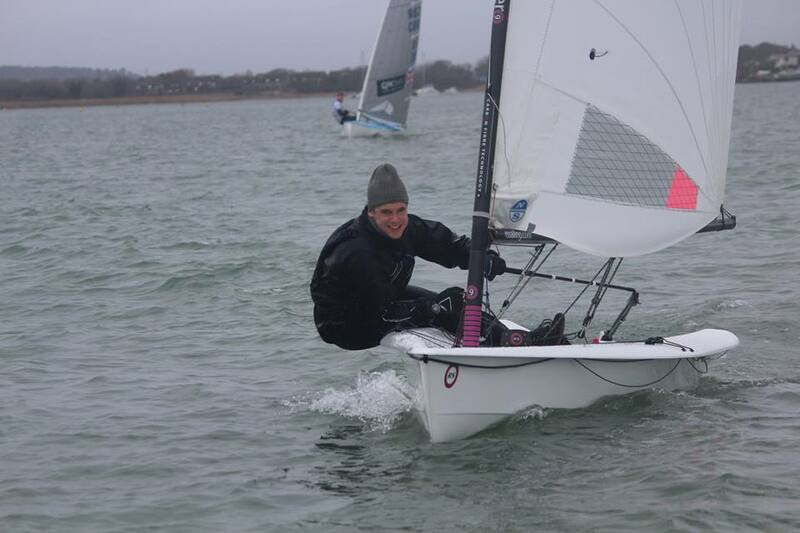 I opted for the '9' rig for the fun of it and after some peer pressure from the macho Finn sailors! As I had never raced Finns with the '9' it was the more interesting choice. 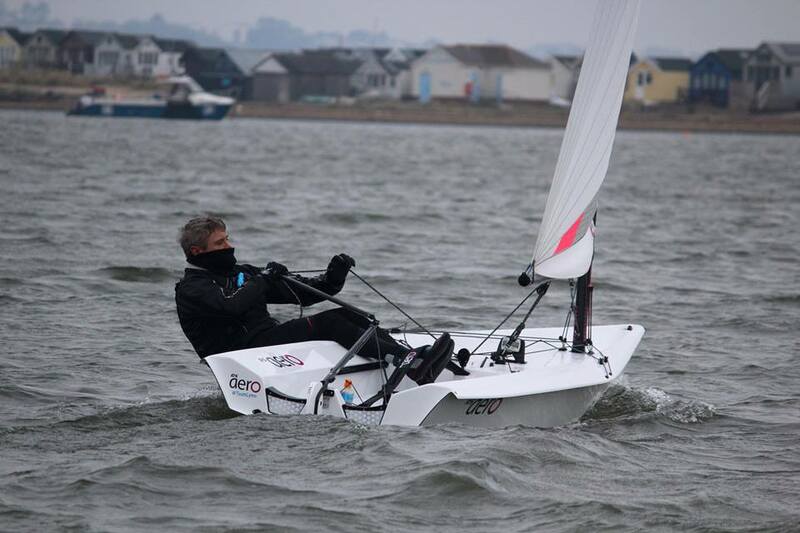 New Highcliffe SC owner Graham joined in his '7' and 'Race to Scotland' Ken was unfortunately laid up sick. 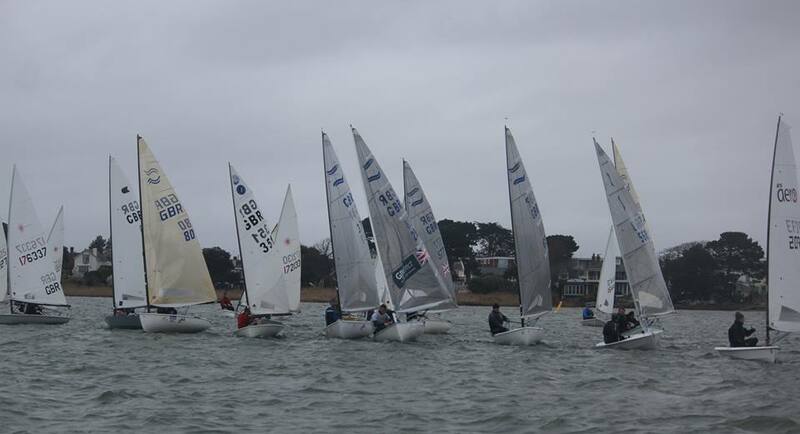 Nine Finns were on the start with the Keyhaven YC fleet adding to the good Christchurch SC fleet. Upwind and on a run was a pretty even match. On the reaches the RS Aero was much earlier to plane and then planed much faster. Without planning conditions it would have remained quite similar around the course. With the wind coming over the headland one noticeable difference was the RS Aero's ability to accelerate. Whenever a gust came the Aero was much quicker to accelerate and nimble to react directionally to them. Whilst matched on the run the RS Aero 9 showed signs of being able to pull away as a gust arrived. The good reaches provided enough to eventually pull time on the Finns. 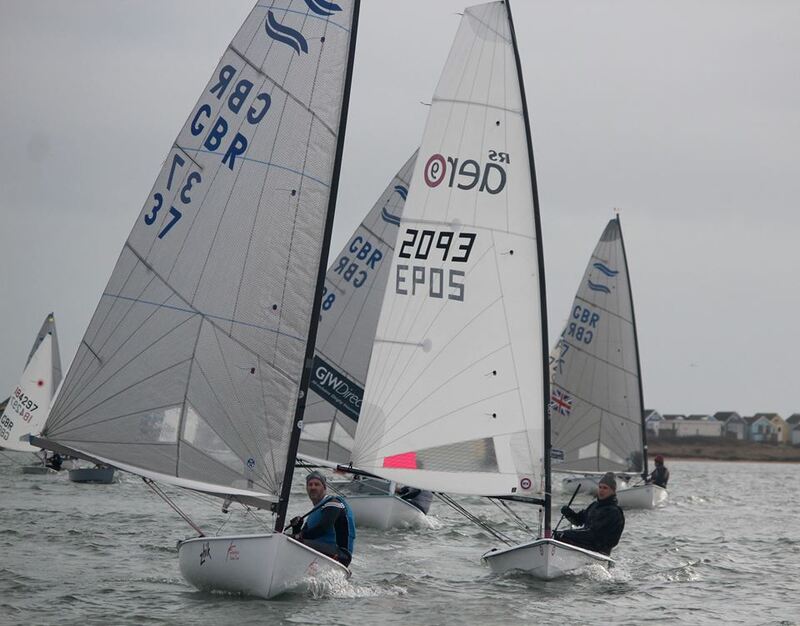 However, one enjoyment of PY racing is that you never quite know how you are doing and different classes can all have their day depending on wind, course angles, tide and wave state. Back in the pack a well sailed Radial and 4.7 were going well and ahead on PY! I look forward to a race against the Finns in an RS Aero 9 in a lighter sub planning breeze. I think then it will be a very close race and a real challenge to pull out that 1.4% or so - which is about 30 seconds in a 40 minute race. Thanks to Highcliffe SC for a great morning out and hopefully we might make it over for another. Photos by Sarah Desjonqueres. Larger photos HERE.